Superman is a prisoner in his own body. Parallax, the alien embodiment of fear, has arrived on Earth and taken the Last Son of Krypton as his new host, just as Hal Jordan had once upon a time (Zero Hour). Superman's fear for the missing children and his children allowed Parallax in. One ring slinger that knows Parallax intimately is Sinestro and he arrives on Earth tracking the creature intent on capturing him. The villainous Lantern tricks 'Superman' into combat and the two are teleported to Qward into a trap. It proves to be a clever move as Clark is forced to face his fears and an uneasy alliance is forged to capture the creature. Story - 4: The glimpses into Clark's fears are enlightening and somewhat sad that he would ever contemplate these scenes. Seeing some of them play out makes you wonder why Clark hasn't sunk into a deep depression before now. I enjoyed the story, though the mystery of the missing children is brushed off in a single remark and I can't shake the feeling that it was a plot line that deserved more than that. There was a lot to like in the story and the fact that it seeds into Green Lantern quite nicely is a good thing, but the first chapter had a lot of promise and for me the second chapter didn't deliver what I had hoped. 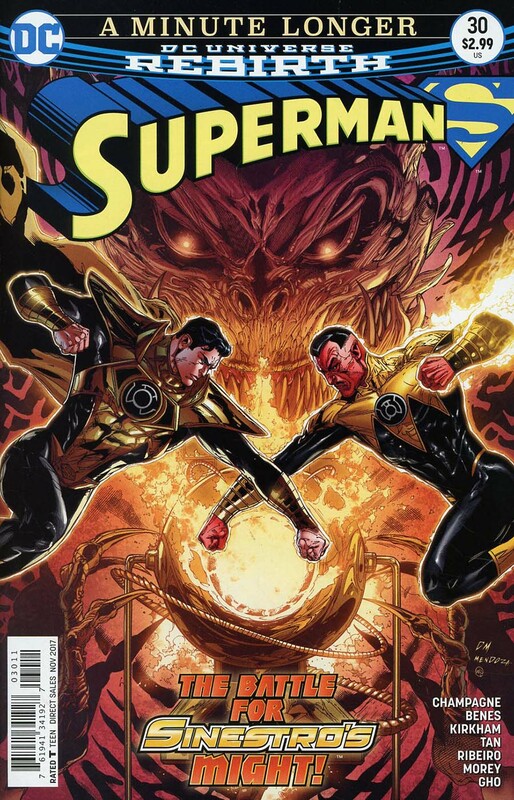 If you are a Sinestro fan then this issue is more for you. The fear scenarios left me feeling very down. Art - 4: I know Parallax is the embodiment of fear and Qwardian's wear gold but there was so much yellow in the book's palette that it started dulling its impact. I loved how last issue which focused on atmosphere rather than spectacle. The three rotating artists create some absolutely stunning layouts, but I'll be honest, after I closed the book the only pages that really stuck in my mind were the splash pages exploring Clark's fears. Cover Art - 4: A very cool cover that is only partially delivered upon in the opening scenes. I like the designs of Clark's Parallax armor, it's almost as cool as Hal Jordan's. I don't particularly like the symmetrical composition as they are about to fight, not perform a dance! Still, despite my moaning I think the threat and the designs are worth a showcase. 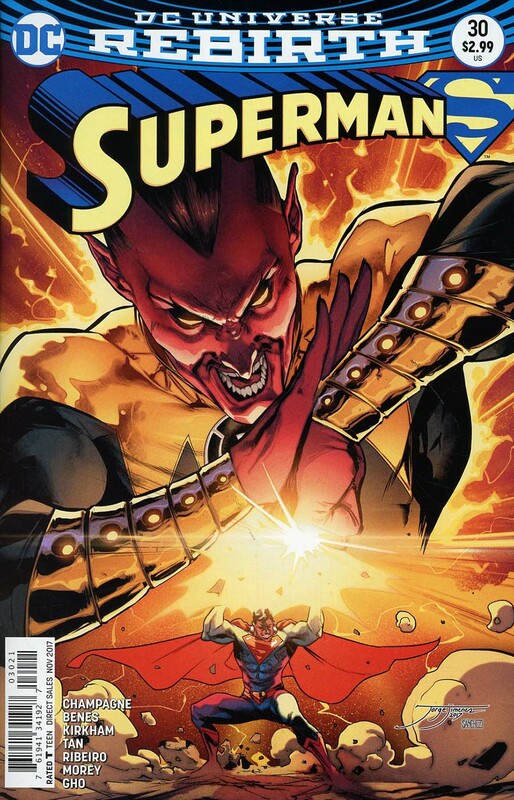 Variant Cover Art - 3: As I said elsewhere in the review, this was more about Sinestro than anyone else.